He enrolled at the recently established University College Dublin (UCD) in 1898, and studied modern languages, specifically English, French and Italian. He also became active in theatrical and literary circles in the city. His review of Ibsen's New Drama, his first published work, was published in "Fortnightly Review" in 1900 and resulted in a letter of thanks from the Norwegian dramatist himself. Joyce wrote a number of other articles and at least two plays (since lost) during this period. 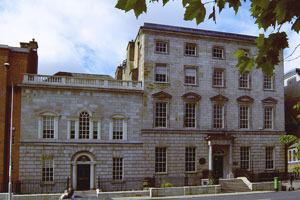 Many of the friends he made at University College Dublin would appear as characters in Joyce's written works. Joyce Entered University College, Dublin, in September, 1898, partly on the money his godfather, Philip McCann, left Joyce upon his death. 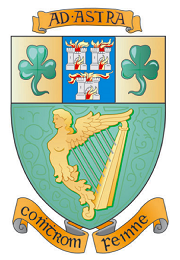 The college dated back to 1854, founded by John Henry Newman as a Catholic rival for the Protestant Trinity College. For various reasons it never became anything of the kind, and in Joyce's time it had only 300 students as opposed to trinity's 1,100. Joyce befriended a handful of characters there, but his closest friend was John Francis Byrne, and their friendship may have only flourished because Byrne wasn't much for debating-he simply listened as Joyce talked.